This post will be heavy on pictures and light on text because, gosh darn it, I have a cold. It’s almost May, but Mother Nature had to throw one last winter cold at me with her crazy change of weather. Boo! 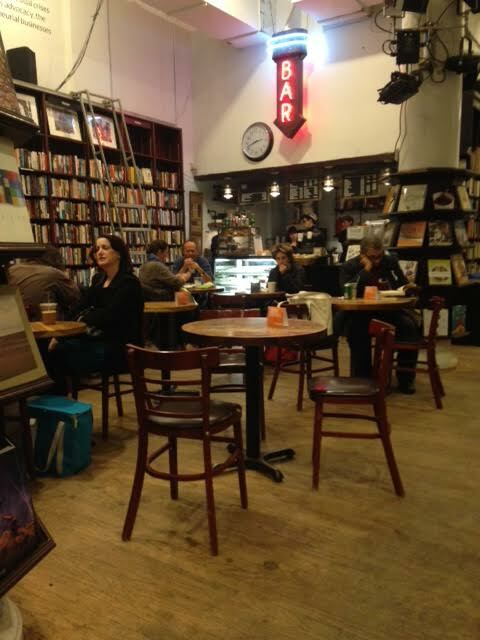 Despite my cold, I met with a bunch of other authors for a write-in at Housing Works book store in the village on Saturday afternoon. Most of the authors are also affiliated with my publisher, Booktrope, including my very own editor. I was very excited to meet my awesome editor face-to-face for the first time. Unfortunately, I neglected to take a picture of her this time, but we hope to make this a monthly event and I will not forget next time. 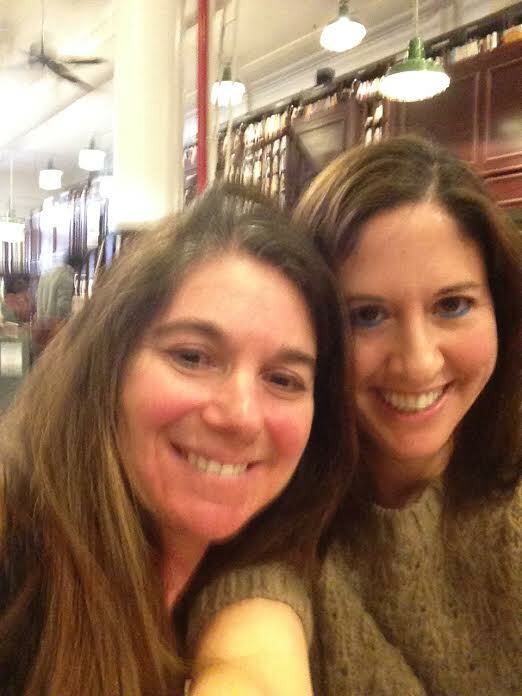 In the meantime, I did take a selfie with my writing buddy, Hilary Grossman, author of the awesome memoir, Dangled Carat. 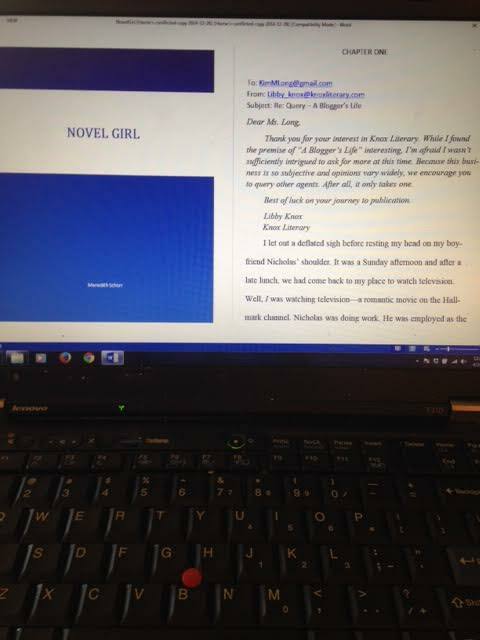 The most significant task I completed this weekend, besides FINALLY enrolling in online banking, was completing my self-edits of Novel Girl, the follow-up book to Blogger Girl. I know the novel needs more work, but I can’t see it clearly anymore and knew it was time to send it off to my beta readers. While I await their comments, I plan to start my next project—a prequel novella to the Blogger Girl series in which I will take Kim Long and bring her back to middle school, along with her best friend Bridget and their nemesis Hannah Marshak. I’ve never written a novella and I’ve never written young characters, but it’s a challenge I’m excited to tackle. I hate to blog and run but I must nap now. I’m taking the day off from work tomorrow to hang with my southern soul sister Jenny who is visiting from Kentucky, and hope to have kicked this cold by then. Wish me luck! You inspire me. 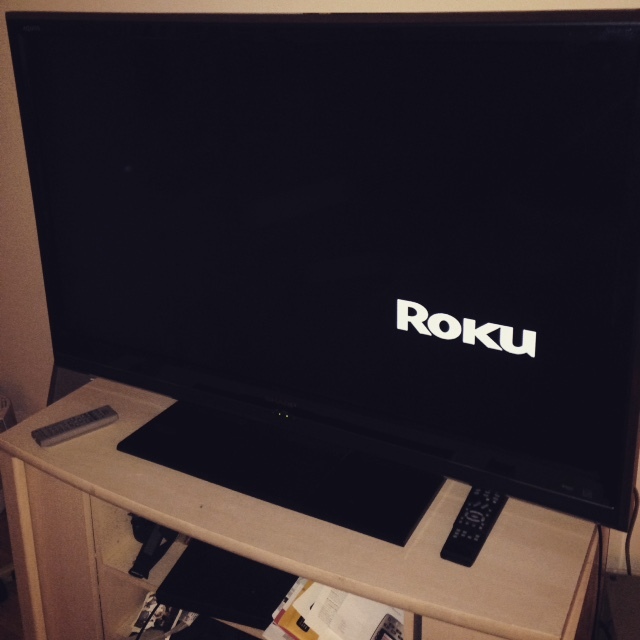 I need to trade up my 13 inch analog TV with the converter box in for a high tech TV-especially because my rent includes 74 cable channels…and I just pick up a few on my TV. I am excited for Novel Girl to be published! Have a great nap and fun with your friend tomorrow! You enrolled in online banking! Way to go!!! I feel like a jerk that I didn’t take any pictures! 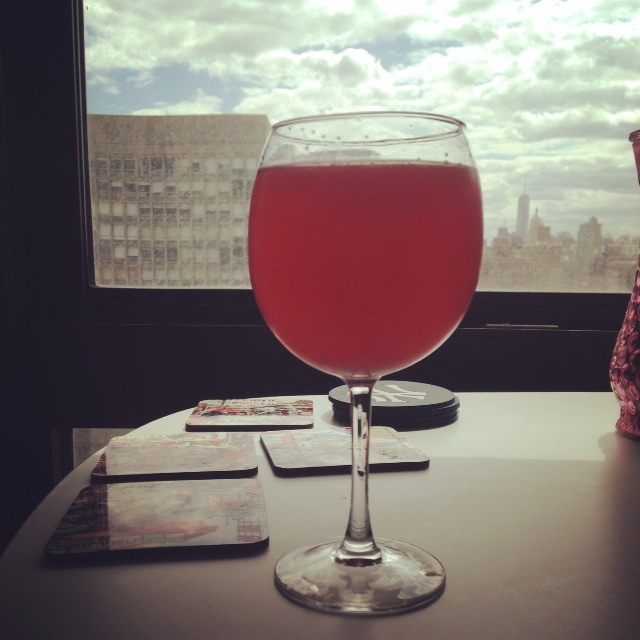 Hi Meredith — Was intrigued by the photo of your “tasty cocktail” and the view out your window. Can you see the new World Trade Center?? I thought I saw it in the distance.